Porsche AG stepped away from their usual air-cooled mid/rear engined configuration for the 1976 release of their new entry level model; the water cooled, front engined, rear wheel drive Porsche 924 2+2 Coupe. Built to replace the Porsche 914 and Porsche 912 (and itself replaced by the 944), the 924 was originally to be a Volkswagen, who commissioned Porsche to build them a sports car but never produced the design due to the oil crisis; opting to build the Volkswagen Scirocco instead. Instead Porsche bought the design back off Volkswagen in a deal that specified the car was to be built at a Volkswagen plant. This lowered the cost of production significantly for Porsche, making the car affordable to the public and as such it became one of Porsche's best ever sellers. Since the car was originally intended for VW showrooms, when released it was powered by VW's EA831 2.0LI4 engine mated to an Audi gear-box; this setup giving the car a respectable 125hp. With the success of 911 Turbo, Porsche decided to add a turbo-charged version of the 924 to their lineup to bridge the gap between the 924 and 911; which many Porsche dealers claimed was far too large. 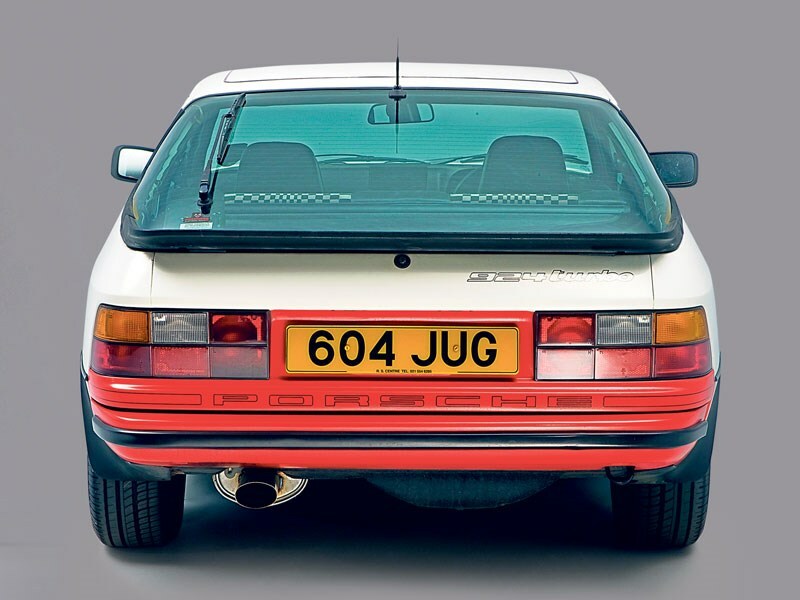 The 170hp Porsche 924 Turbo was released in 1978, however the car received poor reviews. 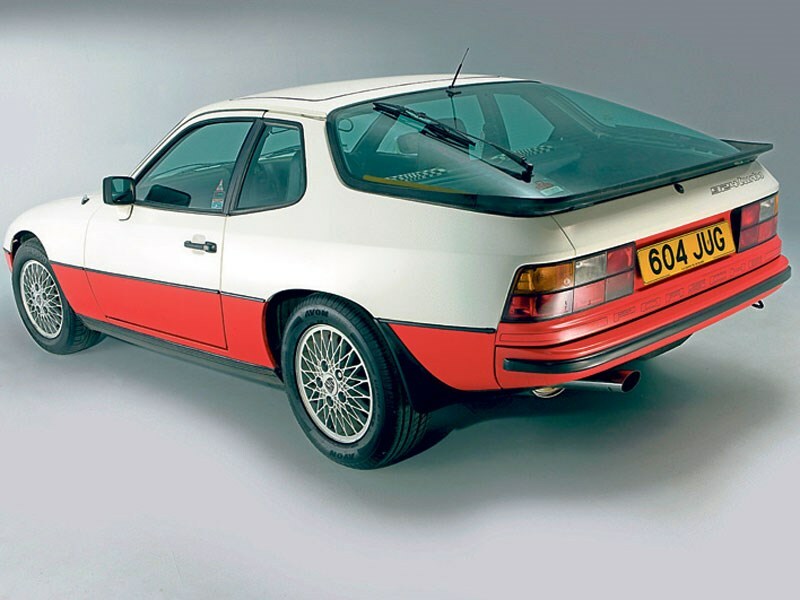 Reliability was poor due to considerable over-heating and as such Porsche revised the model, releasing the 177hp Porsche 924 Turbo Series 2 in '81. Both standard and Turbo models sold well, prompting Porsche to release the race-inspired Porsche 924 Carrera GT at Le Mans. The Carrera GT was an aggressive looking car, with plenty of air intakes giving it purpose, and with 210hp it certainly had bite to match its bark. Success of the Carrera GT inspired Porsche to build more and more powerful versions of the 924; the 924 S (using a slightly detuned version of the 944's 2.5 litre straight four), the 245hp Porsche 924 Carrera GTS, the race-spec Carrera GTS Clubsport and the ultimate 375hp Porsche 924 Carrera GTR race car. Today, the 924 is still well provided for by dealers. There are also plenty of owners clubs who organise events, including the 924 Racing Championship run by Porsche Club Great Britain. One of the biggest myths surrounding the 924 concerns its resistance – or otherwise – to body corrosion. Bar-room ‘experts’ will blithely tell you that all Porsches were galvanised at the factory, and therefore cannot rust, but this is only partly true. Cars built prior to 1980/1981 were only partially galvanised, so early models need care when it comes to checking for rust. One of the most common 924 rot-traps is the area around the bottom rear corner of the front wings, where a bolt attaches the lower part of the outer wing to the floorpan. The battery tray is another weak spot, corroding through and allowing water to leak into the interior and fusebox, causing predictable electrical havoc. It's worth getting underneath to check the condition of the fuel tank as replacing a rotten one is a time-consuming job that requires the transaxle to be dropped. Being a Porsche, the 924 left the factory with resolutely consistent 7mm door panel gaps, so any significant deviation from this is likely evidence of a car that has suffered a shunt at some point. Also ensure the pop-up headlamps work and sit flush when lowered. Misalignment could be a sign of poor body repairs, while a failed motor can't be replaced and will need replacing. The standard 924’s engine may be the least powerful, but it’s also one of the least troublesome, not least as it’s a non-interference engine, meaning a snapped cambelt doesn’t necessarily mean a detonated engine. However, changing the 924’s cambelt is relatively straightforward, so make sure it’s been done recently. Diligent owners will have replaced the tensioner pulley at the same time. The 924S, introduced in 1986, retained the standard 2.0-litre 924’s narrow body, but gained a de-tuned version of the 944’s 2.5-litre ‘four’. Unlike the standard 924’s engine, this is an interference engine, so evidence of a recent (every 30,000 miles is ideal) cambelt change is a must. It’s a more complicated job, however, thanks to the need for a second belt, more pulleys and – if the job has been done properly – a new water pump, preferably one fitted with a metal impeller. The Turbo is the most powerful of the 924 family (up 25bhp on the S), but also potentially the most problematic. The main issue is that the KKK turbo installation relies on the car being left to idle for a few minutes after a run to allow the turbo to cool. Switching the engine off immediately can allow the oil to reach boiling point and accelerate wear on the turbo bearings. Post-1981 cars were modified with improved crankcase breathing to help alleviate this problem, however. Neglected servicing is your main concern as dirty oil and filters will accelerate valve-gear wear, and you need to ensure there's no exhaust smoke or signs of low oil pressure. And if a rebuild is required, bear in mind that many of the original Porsche parts - including valve guides, cam followers and engine mounts - are unavailable, so alternatives will need to be sourced. The low-slung radiator can suffer stone damage, so check coolant levels and watch for signs of poor running as the induction system is sensitive to air leaks. Hot starting issues due to fuel vaporisation can be cured - and were sorted on later cars - but the Bosch K-Jetronic injection system isn't a concern otherwise. It's also worth checking the condition of the electrical harness servicing the starter motor and alternator - it runs close to the exhaust manifold and is prone to melting its insulation. The top-model 300SE and 300SEL had air suspension, which was high-tech stuff for the early 1960s. The ride it gives is quite remarkable, but problems can be very expensive indeed to fix, and parts are not plentiful. Buy an air-sprung Fintail with your eyes wide open, and have the phone numbers of a specialist and your bank manager close at hand. 924 transmissions are reassuringly tough, but a leaky heater matrix (located directly above the clutch housing) will contaminate the clutch and shorten its life drastically if left untouched. A low whirring noise from the transmission tunnel on early 924s can be indicative of failed driveshaft bearings, which are pricey to fix, but an apparently broken clutch on a 924S might be nothing more serious than a collapsed clutch centre plate rubber damper. The standard 924 used much tougher coil springs. Suspension-wise, normally aspirated 924s shared components with the VW Beetle and Scirocco, so parts can be found at a reasonable cost, although it is worth checking for any corrosion around the mounting points and for tired bushes and dampers. Neither the brakes nor steering give any cause for concern over and above general wear and tear, although it is worth inspecting the former for seizure due to lack of use. The cabin of a 924 is well screwed together, although the dashboard can suffer from cracks. They can be repaired, though, and secondhand items are reasonably plentiful. As they are so cheap, now, 924s are popular with trackday enthusiasts. Given that preparation for these events usually involves little more than stripping out the interior, beefing up the suspension and fitting a roll cage, it’s not difficult to return a track car back to road-spec. Check for loose or ill-fitting trim, while neatly aligned bolt-sized holes in the floorpan may suggest that a roll cage might have been fitted at some point and later removed. Electrical gremlins can besiege any indifferently-maintained 924. The switches that raise and lower the headlight pods, for example, are sealed, meaning failure involves replacement not repair. This in turn may have forced a cash strapped previous owner into resorting to bodges. A rusty battery tray can also allow water ingress onto the fusebox located directly beneath in the passenger footwell, while cold start and fuel pump relays are further common failings. The Pasha seat material is available from European suppliers, but retrimming costs can soon mount, so don't ignore a tatty interior. No doubt about it: all 924s are now bona fide classics whose values can only increase from here on in, but if there’s one model it’s probably wisest to avoid as a general rule, it’s the Turbo. Yes, its performance is impressive, but the 924S isn’t that far short of its outright pace and its engine is much more tolerant of anything less than kid glove treatment. If you can be absolutely sure of a Turbo’s provenance, then go ahead, but otherwise, we’d look elsewhere. Find a good example of the standard 924, and it will make a fine value first classic, but we suspect the lack of power will soon have you hankering after the greater poke offered by the S. As well as being more powerful, the 924S lacks the van-related stigma of the earlier car, and enjoyed a variety of modifications over the standard car. Of the three, it’s easily the best choice.